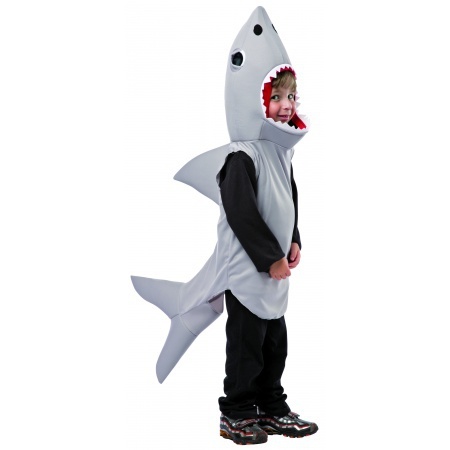 This fun and ferocious shark costume for kids includes a pullover shark tunic with head, fin and tail. 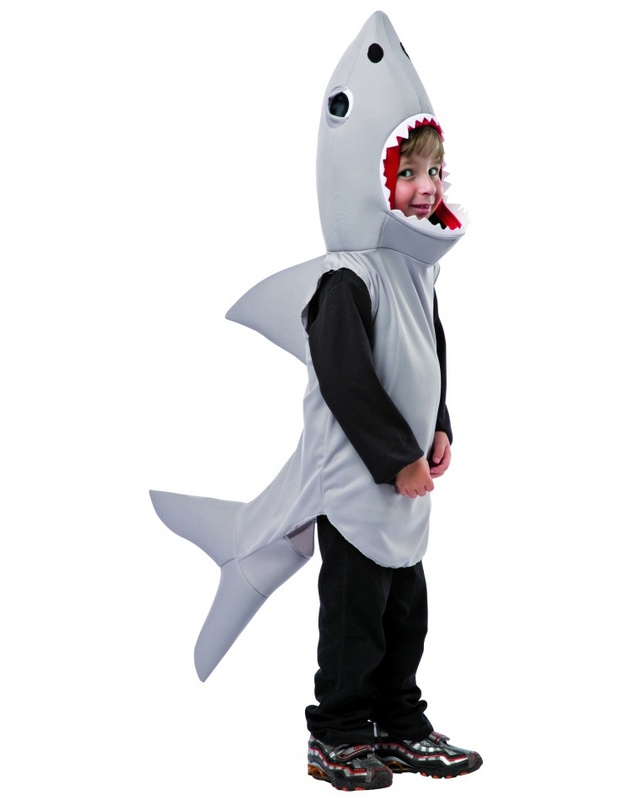 Our shark costume comes in child sizes Small, Toddler, Medium. The black shirt and pants are not included with this shark costume for kids.